The ALL NEW special edition Swift Attitude at Roadworthy Bristol! Offering up a unique exterior design with serious styling upgrades! *£1,100 customer saving applicable to CD/Radio Swift Attitude models only. Thinking about taking out finance for your new car purchase? Swift & Swift Attitude are now available with 0% APR and ZERO deposit to pay. Not looking to take out finance? Contact a member of our friendly sales team today! However you choose to purchase your car, we have a deal to suit you! Like the sound of our deals? Well then, settle down in your seat and let us talk you through our much loved, revamped and turbo charged supermini! 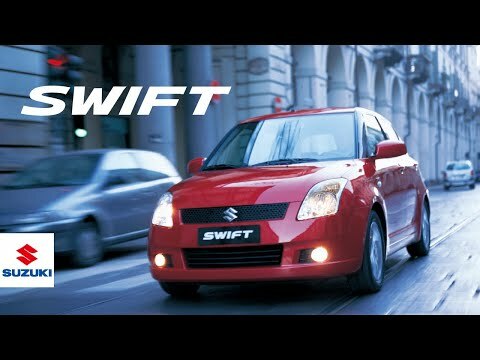 The Swift is Suzuki’s unique offering to the supermini market and it is BACK with extra style and equipment to keep our drivers happy! Whether you are looking for a little something that can confidently handle the bustling streets of Bristol or getaway car to escape the city, the Swift is a versatile choice. The Swift’s cube-like shape with a flat roof is largely unchanged, but Suzuki has made the supermini far more appealing on the eye. Expect a curvier body with sculpts, a bold nose and condensed headlights featuring LED daytime running lights. The muscular shape of the car gives it an edgy look that’s not too dissimilar to a crossover. It’s now produced in a five-door model only making it a practical option for families as well as professionals. Sporty too, with its low roofline and striking bumper design, the Swift ticks every box in the looks department. The simple design inside should receive no complaints. It’s comfortable with a low-slung seating position, and the fascia leaves plenty of legroom for the front passenger too. Models with a touchscreen in the dashboard are particularly attractive inside, making it feel even cleaner and clutter-free. Handy stowage compartments and cup holders allow you to make yourself feel at home when you’re behind the wheel. Choose the engine that suits your everyday drives from a range of petrol and hybrid options. Starting with the 1.0-litre 110bhp BoosterJet engine and going through to a 1.2-litre 89bhp variant, the Swift is perfectly designed for the city. If you want to save more on fuel, you can opt for the hybrid which has CO2 emissions of just 97g/km. 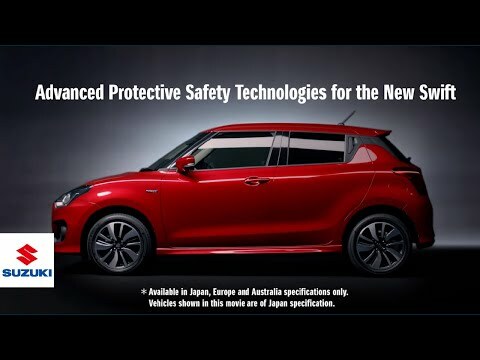 Suzuki has reduced the weight of the new Swift to just 890kg, making it ultra-sharp to drive. AllGrip models have four-wheel drive for increased traction to ensure it can perform just as well along rugged rural roads as it does in the city. The extensive equipment in the Swift makes it stand out against its competitors in the supermini class. As standard, you get to enjoy the crisp sound of DAB digital radio and to make calls while you’re driving thanks to the Bluetooth® connectivity. Upgrade to the SZ-T model and you can enjoy a reversing camera, making light work of parking up. Top spec SZ5 variants get a seven-inch touchscreen that can be operated using gloves, which makes winter journeys far easier. It has navigation with 3D mapping so you’ll never get confused working out the correct route again, keyless entry and electronic climate control. Select the SZ5 to get loads of safety equipment too, such as Lane Departure Warning and Autonomous Emergency Braking. It also comes with an Advanced Forward Detection system that uses a laser and camera to detect potential hazards in your course. Liking what you read? Only with a test drive can you appreciate the quality of Suzuki’s latest Swift so why not contact us on or drop an us email sales@roadworthybristol.co.uk to arrange a test drive from our Fishponds Showroom.